Of the myriad factors that come into play when landscaping property, three stand above all others: aesthetic, environmental and practical. A winsome and compelling appearance is most desirable for any home or commercial building. Likewise, plants that will properly regulate irrigation and drainage—while thriving with little chemical assistance—help to save water and reduce the carbon imprint. Moreover, proper landscaping can serve to foster privacy and limit foot traffic. With these variables in mind, property owners do well to consider the strategic placement of shrubs and bushes on their grounds. Such flora, in fact, pays for itself in the long run. Shrubs are woody plants that grow up from more than one stem. Normally smaller than trees, they rarely exceed 20 feet in height. The range of shrubs is wide in that they can be deciduous (seasonal) or coniferous (often evergreen); broad-leafed or needle-bearing; sometimes yielding fruit, sometimes flowers and other times seemingly just bark. Shrubs that grow in uncontrolled conditions like wilderness are hardy sources of food and shelter for fauna, yet can be cultivated for domestic purposes as well. Hummingbirds frequently nest in shrubs growing on lawns or out in open spaces. 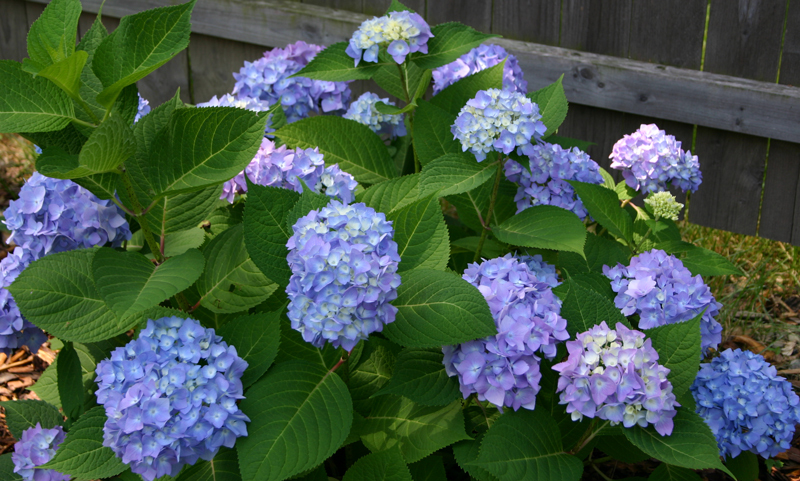 If grown in their native region, shrubs require little maintenance. Shrubs whether flowering shrubs or evergreen shrubs. benefit a landscape in various respects. The root systems of shrubs run deeper and spread farther than turf grass, requiring less frequent watering. Though more water is needed per application, the net effect still saves in total amount of water used. Furthermore, certain shrubs are attractive to the eye throughout the entire year, the oakleaf hydrangea serving as just one example. This species blooms in the summer, bursts into autumn hues and then displays its stately bark in winter. In addition, shrubs are used to define boundaries, create paths and provide seclusion without the stark presence of a fence or wall. They also provide shade to keep pools and bird baths from getting too hot. Are shrubs and bushes the same, or can a meaningful distinction be made? The answers are yes and yes. A review of academic plant science reveals little biological divergence but—for practical purposes—those plants whose leaves and stems are lower to the ground are more often called bushes. Some master gardeners maintain that bush foliage is not as thick as that of shrubs. If there are indeed no hard and fast scientific criteria for defining bushes, perhaps these standards will suffice when talking about shrubs and bushes. In any event, bushes still meet the three landscape standards referenced above. Like (other) shrubs, bushes are useful for land cover and moderate shade. Many of the rot-resistant varieties can enhance soil quality where drainage is poor, thereby they benefit adjacent plants. Those that produce berries also attract a wide variety of birds and wildlife. Significantly, bushes can conceal basement windows, pipes and vents that are otherwise unsightly necessities to any home. Whether they are shrubs or not, bushes are indispensable components of a landscape design.